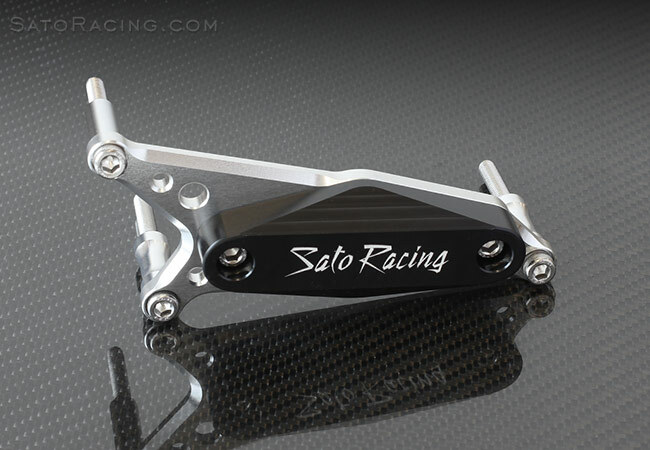 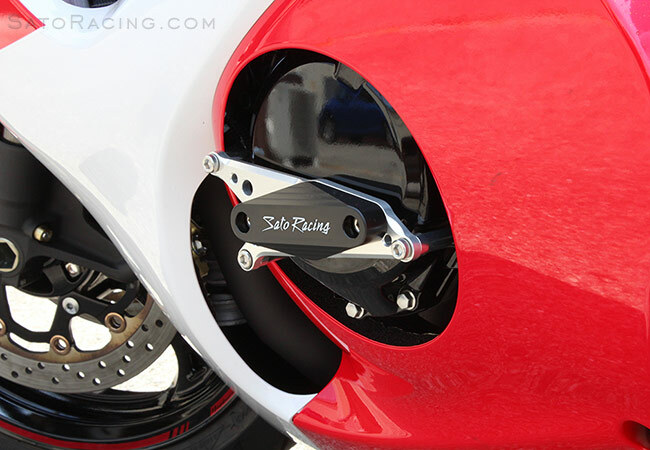 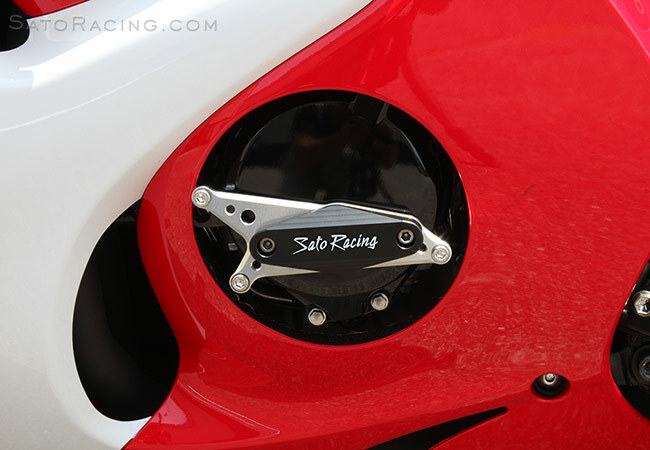 SATO RACING [L]-side Engine Slider for Suzuki GSX1300R Hayabusa (all years) utilizes a tough, abrasion-resistant DELRIN guard for excellent protection of the left-side engine case and lower fairing area from scrapes or other damage if you drop it at speed. 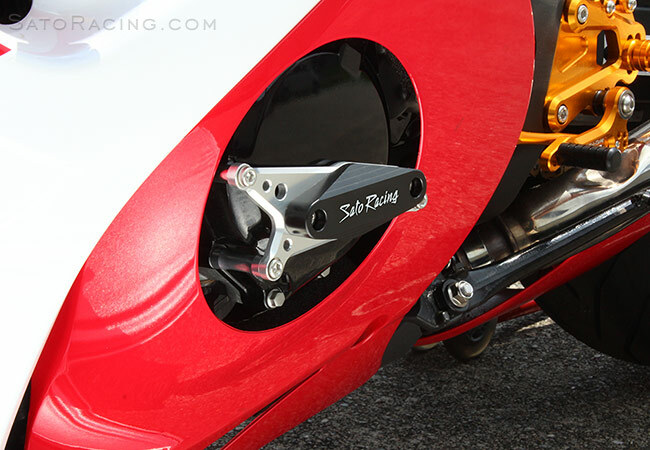 Guard is mounted with anodized billet aluminum brackets and collars, and stainless steel bolts. 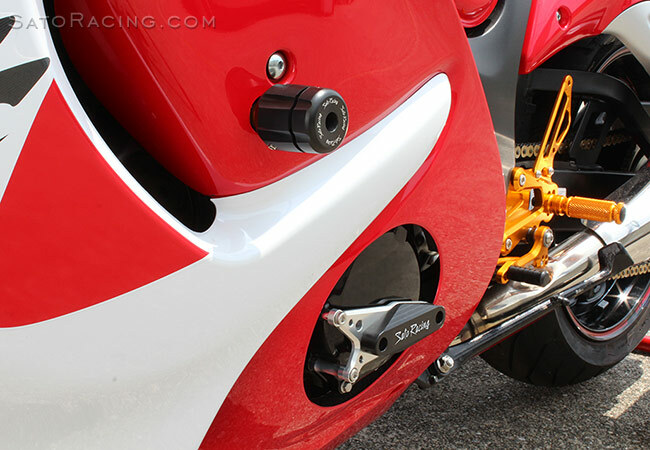 [L] Engine Slider shown with Hayabusa Frame Sliders.